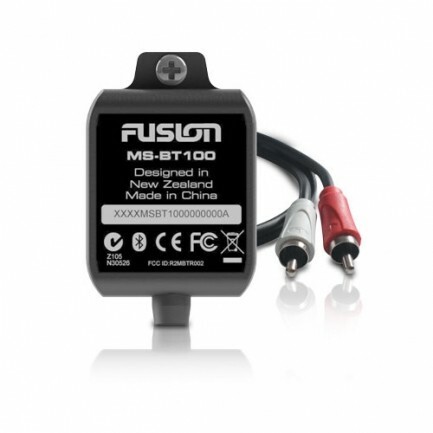 Introducing the FUSION MS-BT100 marine grade Bluetooth audio module. 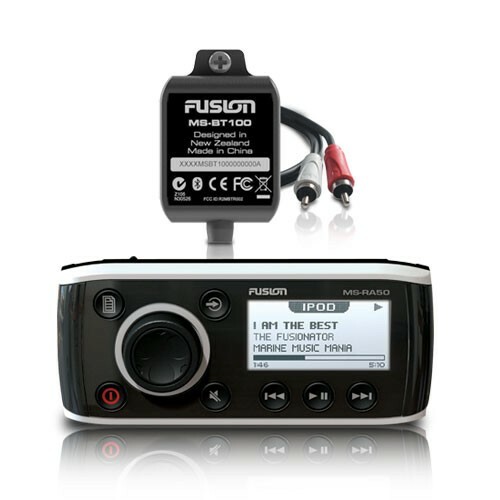 Certified IP65 water resistant and tested for the open road, the MS-BT100 will connect to any FUSION Lifestyle stereo featuring an Auxiliary input allowing for instant streaming from a compatible device. What separates the MS-BT100 apart from other Bluetooth modules is the integrated voltage protection, which is engineered specifically to manage fluctuating current or voltage spikes. This added protection ensures no disruption to your listening pleasure. The MS-BT100 module streams audio from any A2DP Bluetooth capable Apple, Android, Windows, Blackberry or other device directly to the connected FUSION lifestyle stereo. 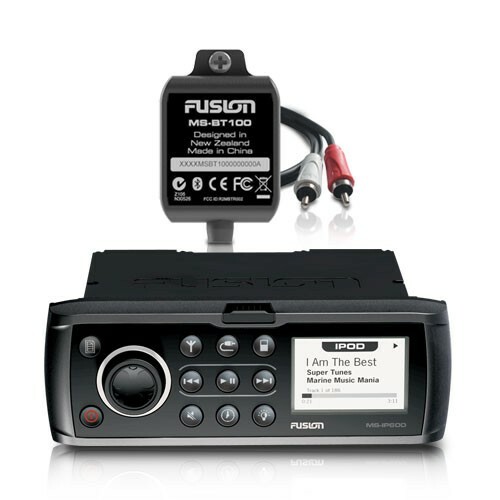 Featuring Direct Media Device Control - allowing you to quickly and easily select tracks, album, artist or playlist from your device while you're on the go around your Camper/RV. FUSION 2013 Marine Entertainment Range from FUSION Electronics on Vimeo.